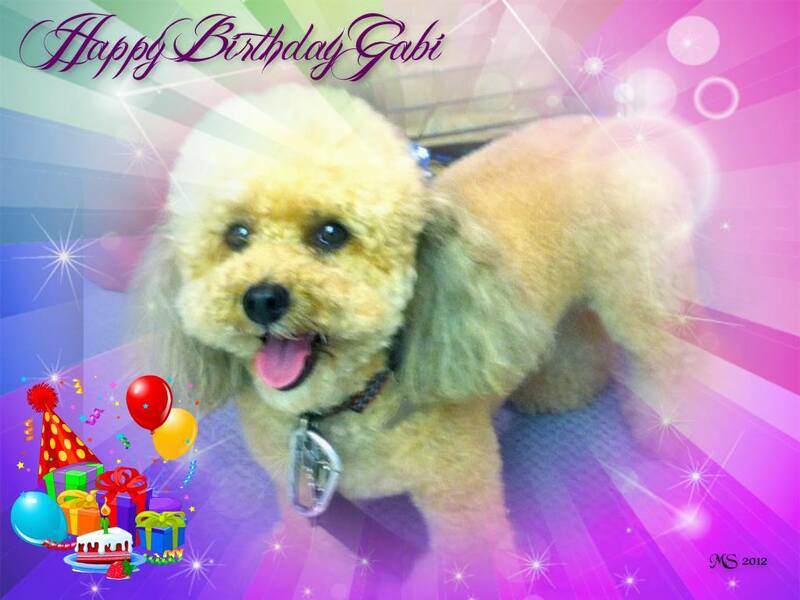 Gabi, my miniature poodle and canine companion, turned 13 years old this week. She has lived with me for the past 12-1/2 years. In that period I can’t remember a day in which she didn’t bring a smile to my face or make me laugh out loud. Also, in the course of our three daily walks, I have met hundreds of people that I never would have encountered otherwise. Some came in and out of my life like raindrops, but many have remained and become a part of my life. Celebrating her birthday is personal for me and isn’t going to help anyone to lose any pounds or inches. However, a pet can play an important part in one’s happiness. Check out the post – Owning a pet can benefit your mental and physical health. 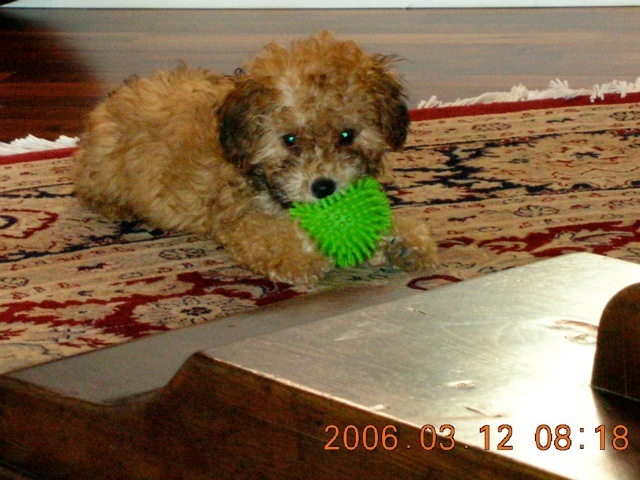 Although she is a part of my life now, I didn’t have a dog for over 50 years. My brother and I had a dog when I was around 10 years old, but it wasn’t long before he became my father’s dog. You can read about how Gabi came into my life in the post – Anatomy of an act of kindness. Recent pic of my bike riding companion. 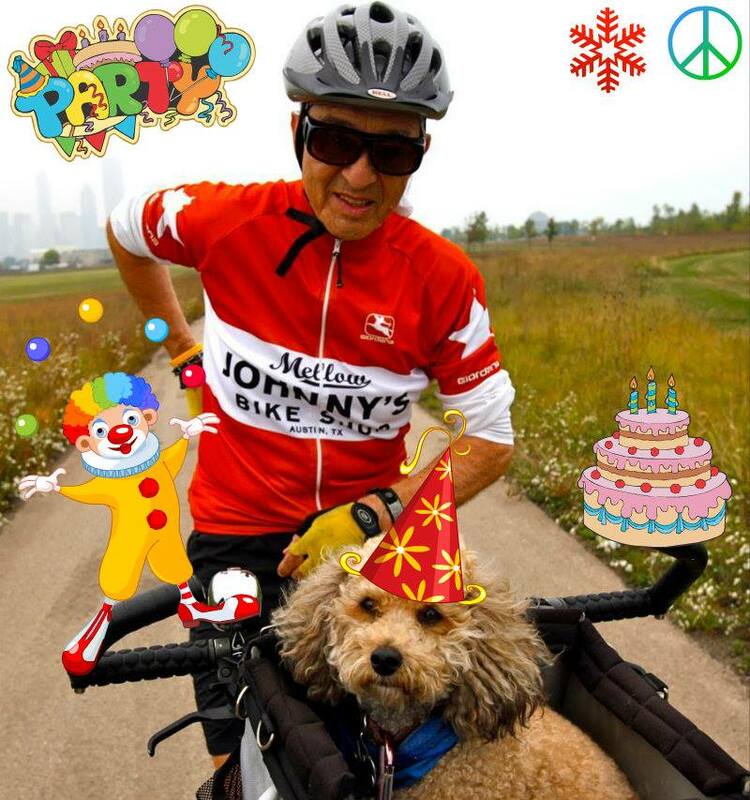 Thanks to my friends on Facebook who created the birthday illustrations above. First of all, I want to salute my little canine companion, Gabi. She is 11-1/2 years young and has brightened my life ever since I adopted her. For details on how that unlikely event occurred, check out my post Anatomy of an act of kindness. Meanwhile, “National Dog Day is celebrated August 26th annually and was founded in 2004 by Pet & Family Lifestyle Expert and Animal Advocate, Colleen Paige, also the founder of National Puppy Day, National Mutt Day and National Cat Day and many more philanthropic days to bring attention to the plight of animals and encourage adoption. The date of August 26th is significant, as it’s the date that Colleen’s family adopted her first dog “Sheltie” when Colleen was 10 years old. Here is my canine companion, Gabi, whom I adopted 11 years ago. She clocks about 4,000 miles a year in her basket on my bike.